Ford just unleashed a pretty big news item ahead of CES. The Ford C-MAX Solar Energi Concept is a car that is charged by the sun. The idea is that you could put your daily driving power into the car via the rooftop solar panels and a concentrator. 21 miles/day isn’t going to help a typical driver (especially when you usually need to use your car during the day) but for outliers who need just a few miles/day this is a no cost charging option. The reality however is that most folks will consider this a gimmick. 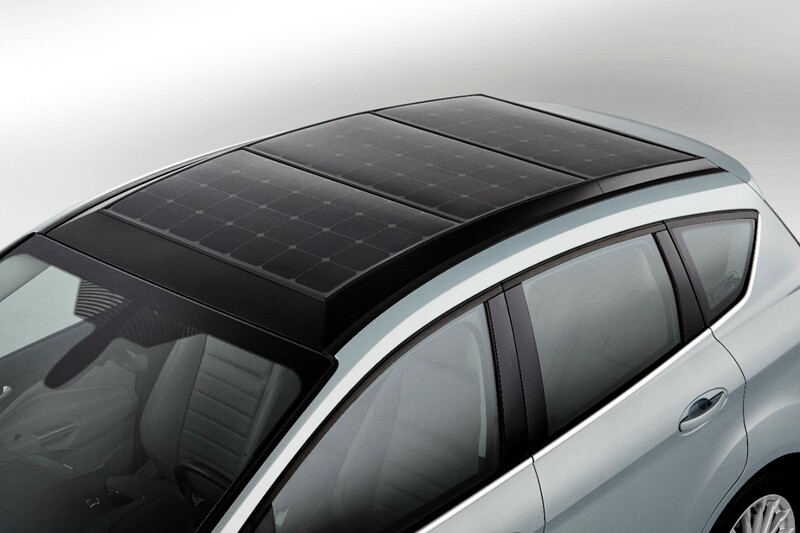 In fact, Tesla CEO Elon Musk was asked about Solar roofs for the Model S. His reply was that the amount of charge you would get would be negligible (looking for the link to this) but if anyone could make this happen it would be Tesla in concert with Solar City. Ford Motor Company (NYSE: F) announced today the C-MAX Solar Energi Concept, a first-of-its-kind sun-powered vehicle with the potential to deliver the best of what a plug-in hybrid offers – without depending on the electric grid for fuel. Strong electrified vehicle sales The C-MAX Solar Energi Concept debuts as Ford caps a record year of electrified vehicle sales. About Ford Motor Company Ford Motor Company, a global automotive industry leader based in Dearborn, Mich., manufactures or distributes automobiles across six continents. With about 180,000 employees and 65 plants worldwide, the company’s automotive brands include Ford and Lincoln. The company provides financial services through Ford Motor Credit Company. For more information regarding Ford and its products worldwide, please visit http://corporate.ford.com.